The Cairngorms National Park is situated in the heart of Scotland, is the most northerly Park in the UK and is easily reached by road, rail, air and even bicycle. By road there are several gateways to the Cairngorms; the well-known A9 Highland Tourist Route is most popular, but did you know that there are alternative routes into the Park which will take you through some of the most stunning landscapes. The Glenshee Gateway; If you’re coming from Dundee or Perth you can avoid the A9 altogether by taking the A93 towards Glenshee. 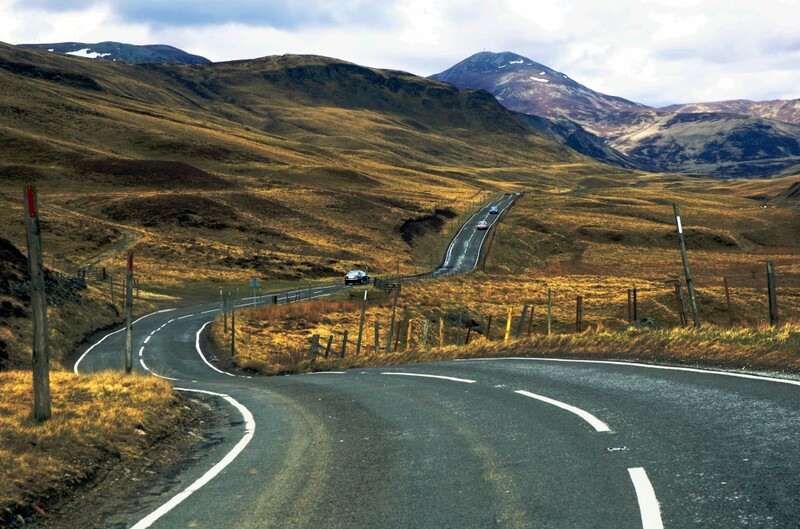 Also known as Old Military Road, you’ll pass by the Dalnaglar Castle, Finegand and the Spittal of Glenshee which forms one end of the Snow Roads, the drive will take you through some of the most magnificent glens and past Connecting Contours, as it takes you into the heart of Deeside, onto Donside and beyond. The Angus Gateway; Heading north you can reach the Park by travelling through Angus. If your destination is Glen Clova head towards Kirriemuir and then take the B955 towards Clova, from this part of the Park you can drive along single track roads to take you to Braedownie. Alternatively, you can take the A90 north towards Brechin and connect with the B966 to take you past Edzell, Auchmull, the Glenesk Folk Museum, Tarfside and finally into the Park at Glen Esk where Invermark Castle stands. From here you can visit Loch Lee, Inchgrundle and Glenlee. 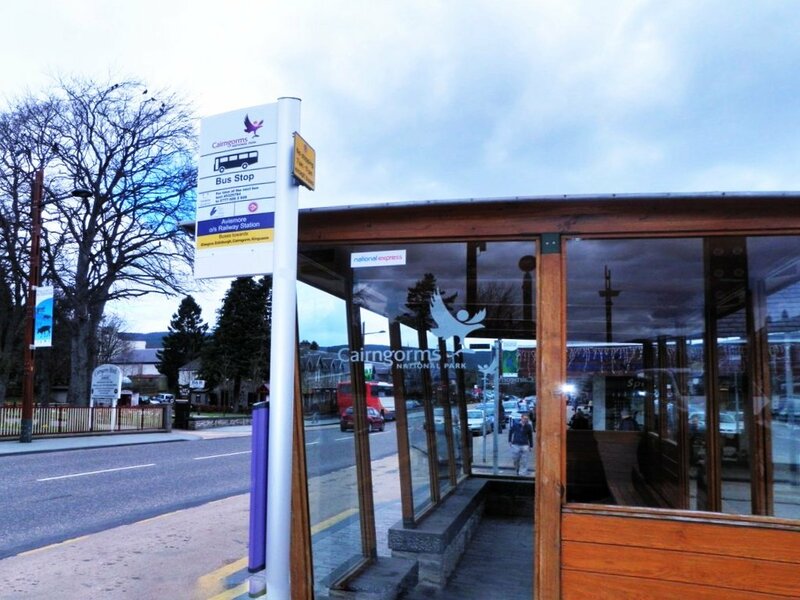 From the bus station in Dundee you can also take a combination of buses to reach the Auchronie Road End, followed by a short walk to Invermark Castle for less than half a mile. The Aberdeen Gateways; there are a few routes heading towards the Park from the east, the most direct route to follow is the A93 towards Aboyne and from there into the Park. This route will lead you into Dinnet and from here you can head north towards Strathdon and Glenlivet or west towards Ballater and Braemar, connecting you once again to the Snow Roads. This route will take you close to Glen Tanar and right into the heart of Royal Deeside. From the Bus Station in Aberdeen City you can take a combination of buses to Ballater. From Aberdeenshire there are a couple of routes into the park. First via Kildrummy and past the 13th Century Kildrummy Castle, the A97 will take you into the Park near Glenbuchat and Strathdon. A bit further south of the A97 you can take the B9119 towards Tarland and onto the Park towards Ordie and Davan. From here you can connect with the Snow Roads and head north, south or further east into the park. The Moray Gateway; A main route into the Park from around Moray is the A95 which will lead you towards Grantown-on-Spey. You can connect to the A95 via the A941 if you are heading in from around Elgin and the A96 from around Fochabers. 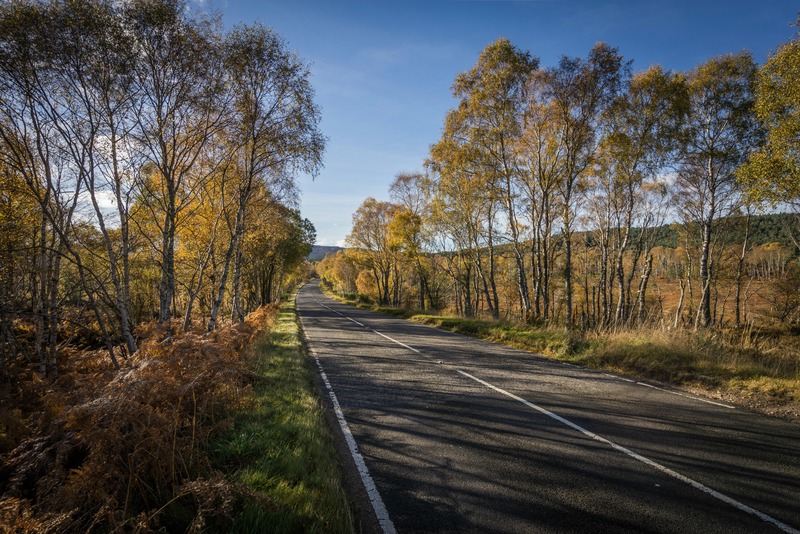 When taking the A95 at Ballindalloch you have two road choices; to continue along the A95 taking you towards Grantown, or to head south along the B9008 and arrive in the Park at Glenlivet. The Highland Gateways: The most well-known of the routes into the park is the A9. From the Highlands you can reach the Park from 3 locations. Heading down from Inverness the main route is the A9, which skirts the Park along the Strathspey and Badenoch regions. If you’re approaching the park from around Fort William take the A82 and A86 towards Stathmashie and Laggan. Here you can connect with Dalwhinnie and Newtonmore and the A9. Or if you are approaching from around Nairn, Auldearn or Cawdor, you can take the A939, Old Military Road, into the Park bringing you to Grantown on Spey. You can also reach the Park via train and bus from the Highlands, from Inverness the main bus and train stations run regular services through the Badenoch and Strathspey areas of the Park and can take you onto destinations beyond the Park. The Perth and Kinross Gateway: The most well-travelled of routes is the A9 north, taking you past Pitlochry the road passes through the Park on your way to Strathspey and Badenoch or futher north to the Highlands. Regular train and bus services run from in and around Perth and Kinross that will pass through the Park. For directions and an estimate of your journey time visit Traveline Scotland. Check your journey before you set off for road disruptions by visiting Traffic Scotland. For further information on local Taxi firms, car and coach hire please go to Visit Cairngorms. This scenic route is a 90 mile journey from Blairgowrie to Grantown-on-Spey crossing the highest public road in Britain and traveling through the outstanding landscape of the eastern Cairngorms. Visit the ‘Snow Roads’ for more information and a downloadable map. Immerse yourself in Highland culture with Highland Discovery, the latest travel app to add to your smartphone, discover the story of the Highlands through music, song and stories. The app works offline so you can still enjoy all the content without wifi or Gs. With detailed maps, curated routes and a travel planner this is a handy way for anyone to explore the area. There are railway stations at Dalwhinnie, Newtonmore, Kingussie, Aviemore and Carrbridge. Trains between London’s King Cross and Inverness stop off at either Kingussie or Aviemore. Aberdeen is the closest station to the east side of the National Park. The Strathspey Steam Railway runs between Aviemore, Boat of Garten and Broomhill at Nethy Bridge. For information on train timetables, to book tickets and to organise connections find out more from Visit Cairngorms: How to Get to the Cairngorms National Park. There are regular coach services from London, Edinburgh, Glasgow, Aberdeen and Inverness. Local buses connect the towns and villages throughout the Park, including dial-a-bus services and minibus services. Click here for more information on bus timetables and booking. Inverness Airport is only a 30 minute drive to the Badenoch and Strathspey area of the National Park, while Aberdeen International Airport is an hours drive away from the Royal Deeside area of the Park. For more information on getting to the Cairngorms National Park by airplane please visit Visit Cairngorms. The Park can be reached by National Cycle Routes, the Deeside Way, sections of the Speyside Way and Dava Way. To plan your cycle to and around the Cairngorms National Park visit Sustrans Route Mapping for cycle routes, advice and further information. The Deeside Way runs from Aberdeen to Ballater in the east of the National Park. The Speyside Way runs from Buckie on the Moray Coast to Aviemore. The Dava Way runs from Forres near the Moray Coast to Grantown-on-Spey.